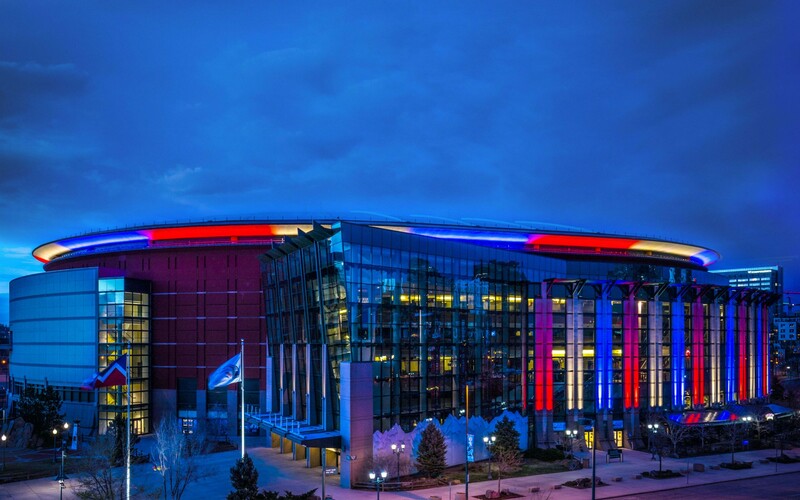 Color-changing Lumenfacade and Lumenbeam luminaires create an epic spectacle to fans and passersby alike going to the Pepsi Center in Denver. 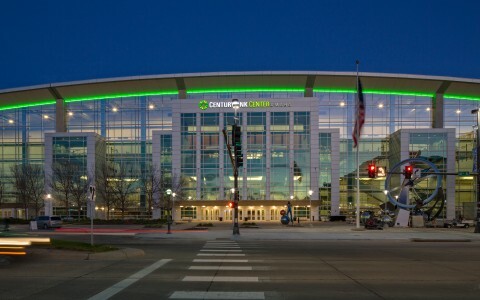 Big city arenas often embody a city's competitive spirit and are symbols of their prosperity. 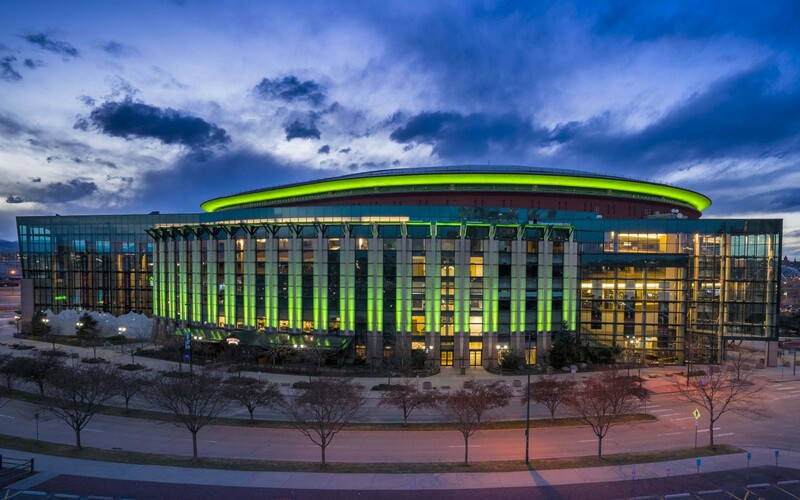 The Pepsi Center in Denver is one such a symbol. 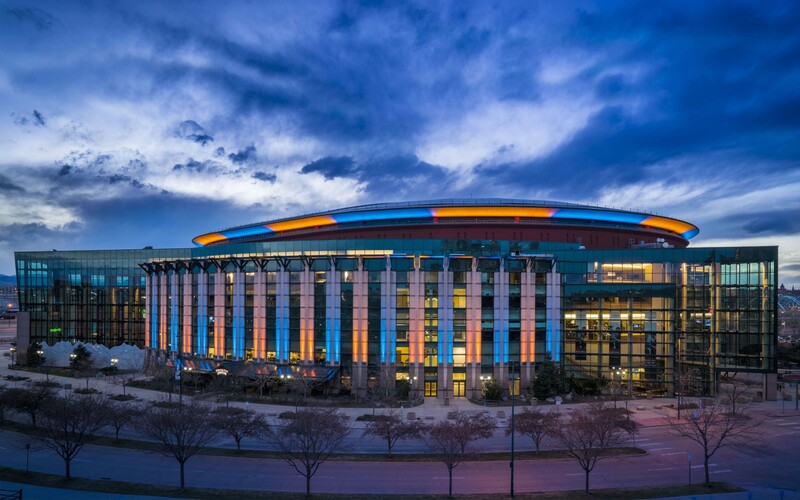 Opening its doors in the fall of 1999, the Pepsi Center hosts over 200 events every year. 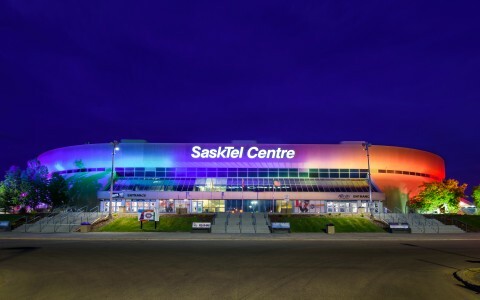 While the extravaganzas within its doors are what most audiences come to see, it was time to modernize the exterior lighting so as to create a spectacle that would complement the happenings inside while attracting visitors by showcasing the center itself. 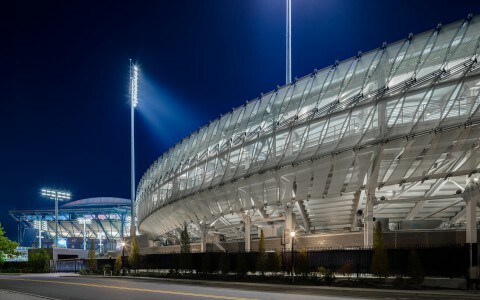 "The goal was to deliver a dynamic lighting solution that would allow the venue to identify itself and notify the public that there was an event going on" said Michael Lindsey, Senior Associate at Horton Lees Brogden Lighting Design. 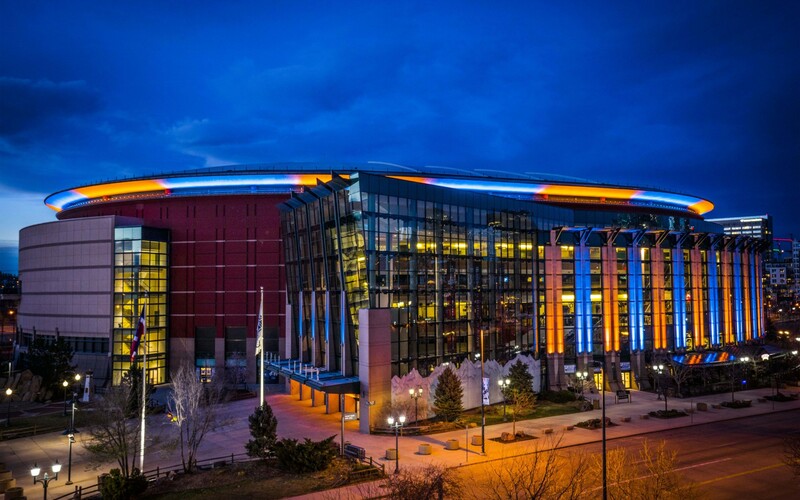 Lumenpulse luminaires were chosen to retrofit the Pepsi Center because of their control flexibility and fluid color-changing capabilities. 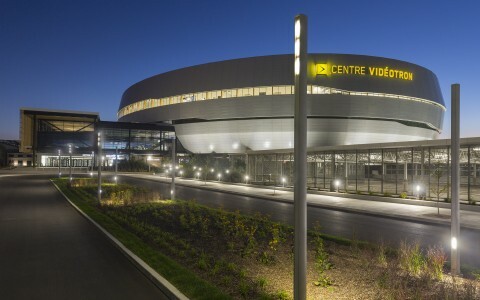 The exterior, upper circular rim of the arena is grazed by Lumenfacade luminaires. 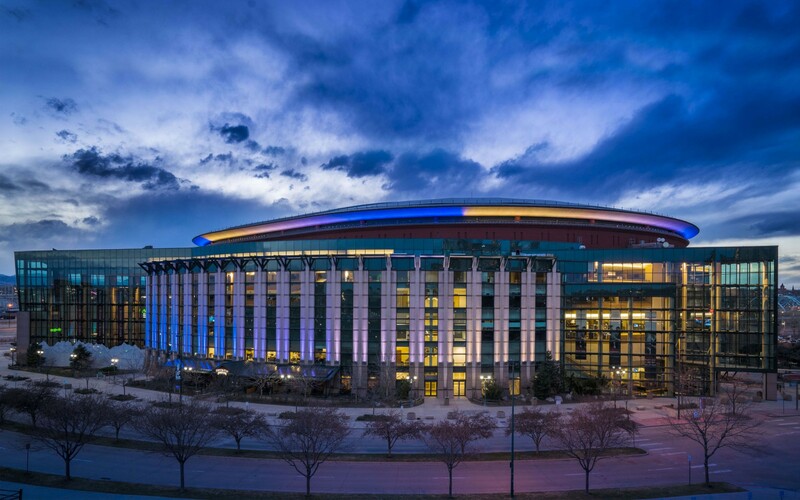 This noticeable architecture element is the focal point of the Pepsi Center and can be seen from miles away. 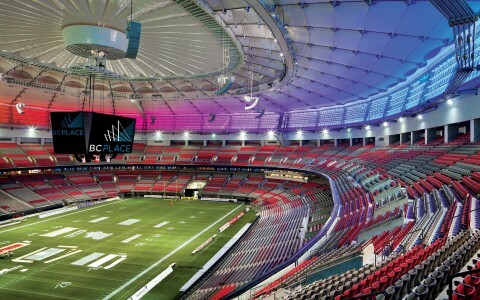 The precision of the optics, in addition to a custom glare shield designed by the HLB design team and Lumenpulse, help limit light polluting the night sky while also softly washing the arena's crown. Located at the recognizable exterior colonnade of the building, the columns are individually uplit using Lumenbeam luminaires with narrow 10° optics, keeping light from spilling through the center's windows. "We needed luminaires with a long life, to lower maintenance costs, and something that could reduce the number of units," said Michael Lindsey. 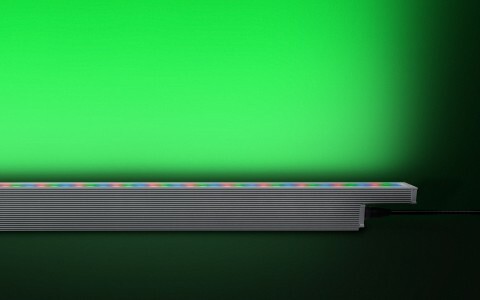 The best-in-class optical uniformity of Lumenpulse fixtures means that less luminaires are needed to graze an area than ever before. 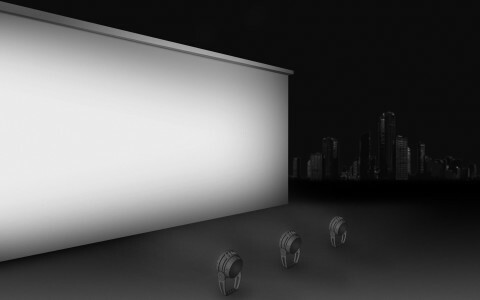 Both the Lumenfacade and Lumenbeam luminaires are controlled by DMX. 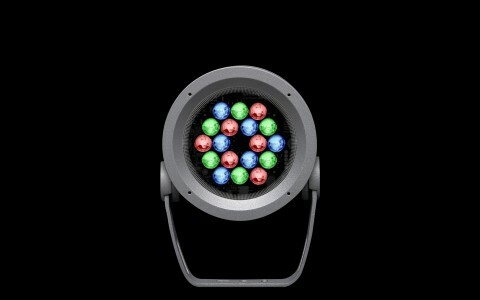 The luminaires are easily commissioned, controlled and programmed by the center's team, giving them the ability to change the lighting spectacle whenever and as often as they wish. 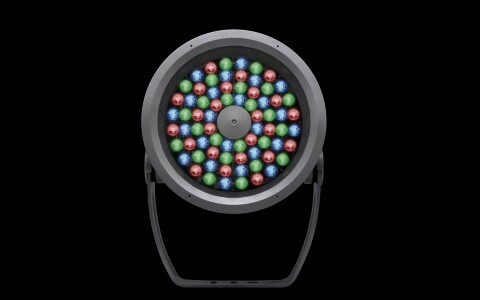 The lighting is often programmed to look as if the crown itself is rotating through dynamic color chasing. 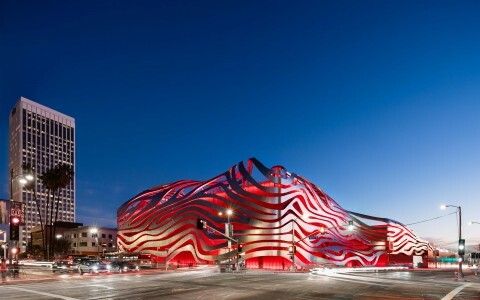 When the Center is lit, the wash of light dynamically coats its highest walls, fluidly changing color as per the programmer's desires. 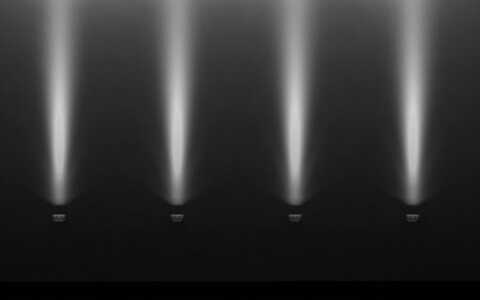 The luminaires are concealable due to their minimal profile and mounting options, giving the lighting scheme a signature aura, as if the glow is coming from within the structure itself. 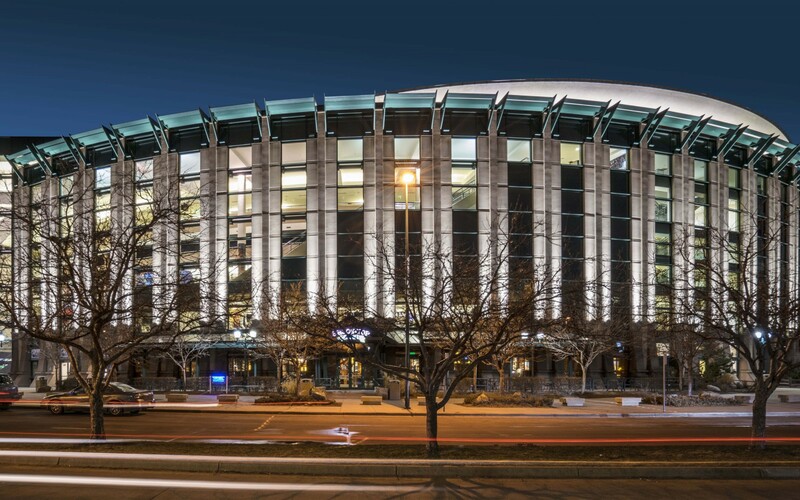 The symbolic nature of the Pepsi Center has been amplified due to the lighting scheme, building excitement for passersby and attendees alike, as the building itself comes alive.